Living with an injury or disability is difficult enough when you have the financial resources you need. When money is tight, it can seem nearly impossible. 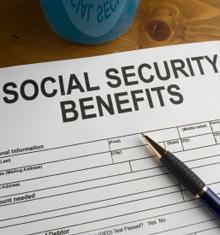 This is why Social Security disability insurance and workers’ compensation are so important. If you have been denied the benefits you need, do not be discouraged. At the office of Mager A. Varnado Jr., Attorney at Law, we are here to help injured and disabled individuals get the disability and workers' comp benefits they are entitled to. Located in Gulfport, we represent clients in Mississippi and surrounding areas. For people who need it, getting disability or workers' compensation is not just about the money. It is about making your life better. Throughout your case, we will explain the legal process and help you find medical providers that can help you heal. Our practice is dedicated to helping injured and disabled people throughout the community get the benefits they need. You are probably already worried about money. We do not want to add to that stress. We offer most of our legal services on a contigency-fee basis. This means that you will not owe any attorney's fees unless we recover payment for you. Call 228-863-1226 or contact us online to schedule a free consultation with our experienced lawyers. You can be rest assured that we will do everything possible to protect your interests and make your life better.